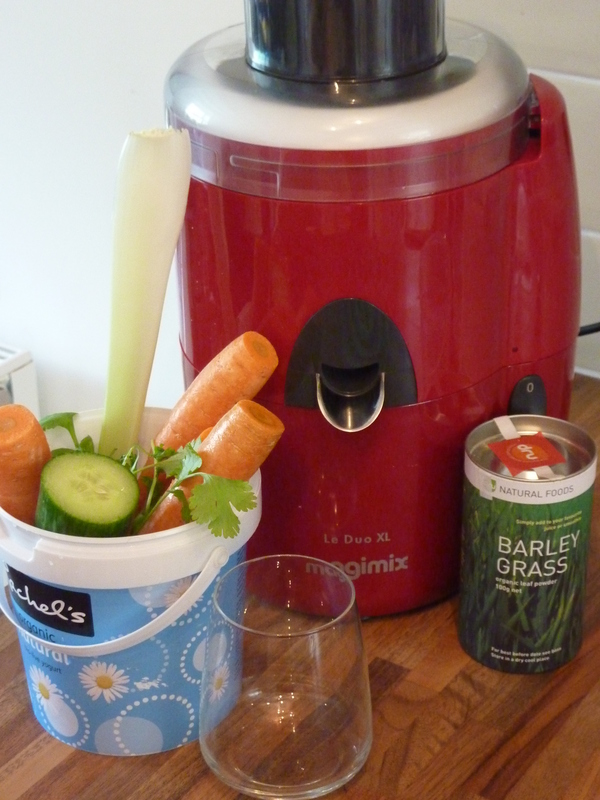 CARROT, CELERY, CUCUMBER, CORIANDER…….the fours C’s. Why has nobody thought of this before! Or should I say, why have I never heard of this before, a carrot and coriander juice. A classic soup recipe will no doubt make a tasty juice, just colder and thinner but still full of all those good enzymes and nutrients we need to keep ticking over. I’ve made a few additions here to spice things up a little. The cucumber adds some freshness, the celery a more savoury edge and the ginger and nice little POW. We take the skin off the cucumber as it has a bitter flavour and also turns the juice a peculiar beige shade. We have been using barley grass in our savoury juices, it is a real super food and also has a pleasant taste. We’d like one day to start a little wheat grass farm here, but this dried barley grass is a more than adequate substitute for wheat grass. 4 Carrots, 2 sticks of celery, 1/2 cucumber (de-skinned) 2cm cube of ginger, 1 handful of coriander (celantro, stalks and all). If your juicer is not great, you may need to mash up the celantro in a pestle and mortar and add it to the juice later. It can get left behind. If you have one of those little wheatgrass crushing machines (lucky you) use that instead. Follow the instructions on the barley grass packaging (don’t over indulge!) we use half a teaspoon per glass. Add a little juice and mix to a paste, then add the rest of your juice, stirring all the time. 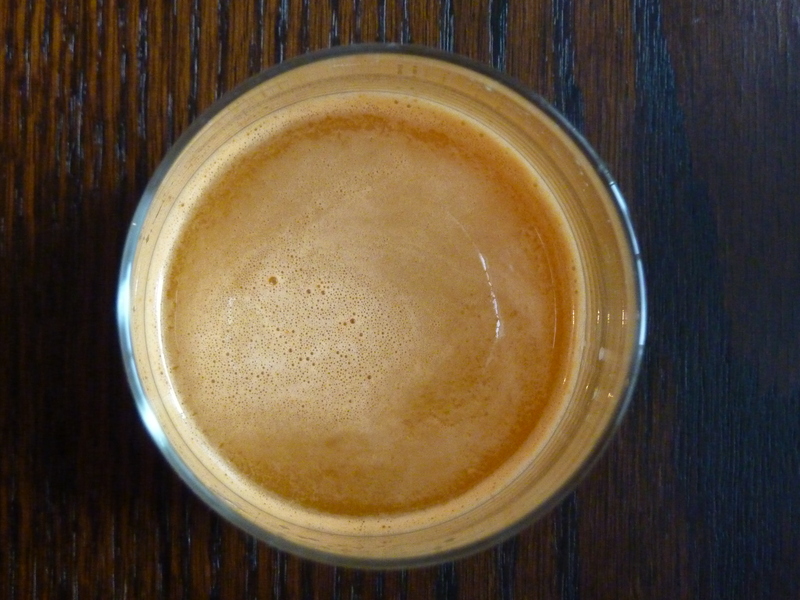 This avoids blobs of intense barley grass surprising you mid-slurp. You will need a juicer here unfortunately, we are blessed with a crimson Magimix that is by far the greatest appliance we have ever owned (purrs like a Rolls Royce when started). Juice your coriander and ginger first, then the rest goes in with the carrots last. Carrots are a great veg to juice last as they give off alot of juice and really clean out any lingering bits and peices. This is a delicious savoury way to start the day, packed with vitality and goodness. – Five times more iron than brocolli. – More iron than steak. – Seven times more vitamin C than orange juice. – Eleven times more calcium than milk. Our bodies are mainly too acidic for our own good, leading to many health issues. Barley grass is a strong alkalizer and helps to neutralise the effects of an acidic diet and let our cells get on with their business.